Childhood as spiritual exercise: Peter in The Snowy Day – Andrew James Taggart, Practical Philosopher, Ph.D. 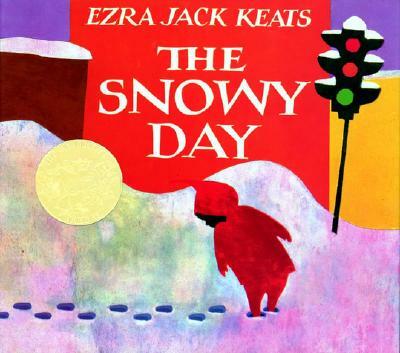 I don’t know what led me to the local library to stand in the middle of the kids’ section, to look down at my running shoes and around me at the little tables, and, standing there not unself-consciously to read Ezra Jack Keat’s The Snowy Day. It may be that the idea of home has been on my mind for weeks and months and that The Snowy Day reminded me of childhood. 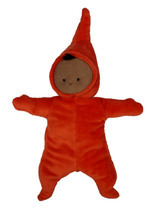 It could also have something to do with vague memories: a brown boy in an orange suit set against a white day, a mother opening pages to her son. Or with the quietness of it all: here, a boy by himself in winter, here exploring a scene transfigured. (Could I love that boy? And wasn’t I that boy, the quiet, contemplative one?) Whatever it was that led me there, I was most certainly there and, while I was there, I touched the pages, felt the images, finished the book–twice–in one standing. Afterward, I made sure to take notes. Notes on what, pray? Notes on the spiritual exercise that is a good childhood. Suppose I were a mountain climber. Then what would I do, how would I be? When I sit and think (in a bathtub! ), what is the right use of memory? Ah, says, Nietzsche, it is to remember the right things! Leave room–lots of it–for life-affirming thoughts. Can I dream of a life otherwise? Of sun? And if I awake and there is no sun and no summer (not yet? not ever? ), can I love life as it is, wintry and all? Yes! Can the things I love be held onto for good? Snow, for instance: will it last? No, alas. Snow melts, how sad. And how shall I love this thing and that person despite the fact that they’ll also melt? Perhaps it’s because they’ll melt that I’ll love them too–and more. And what are moms for? To listen to stories! Wide-eyed to hear adventures. And, through it all, what does Peter teach us? The naive artist, Schiller thought, brings the perceiver into harmony with nature. Before the flood, man experiences the “friendliness of life” (Hegel). And here is Peter, a naive artist and a friend to life.